Only the EF-FX2 adapter ring can perfectly transfer the Canon EF series lens to the Fuji X micro single body. 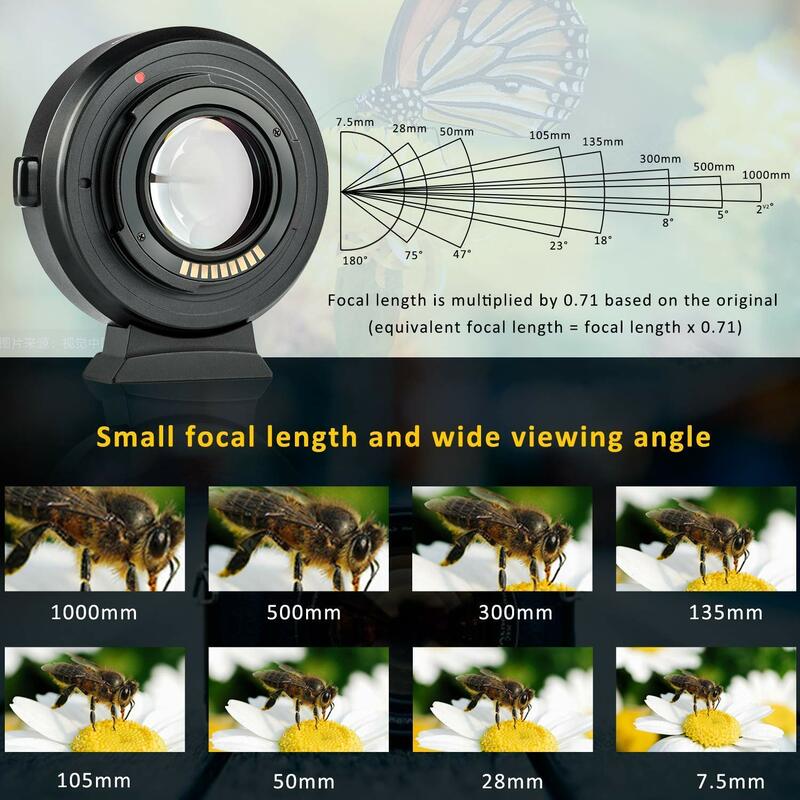 The focal length is in the originalMultiply by 0.71 (equivalent focal length = actual focal length × 0.71), the aperture is increased by 1 level, and 4 sets of 4 optical lenses are built in.EXIF signal transmission, auto focus, adjustable aperture and other functions can be realized at the same time of transfer, and the firmware can be upgraded through the USB interface. This entry was posted in 3rd Party Lens, Accessories and tagged Canon, Canon EF, Focal Reducer, Fuji Rumors, Fujifilm, Fujifilm Rumors, FujifilmRumors, Fujirumors, Viltrox, Viltrox EF-FX2. Bookmark the permalink. Trackbacks are closed, but you can post a comment.